Maps are wonderful to picture our planet Earth! But they are also deeply misleading… All of them. And there’s a fundamental theorem behind this! Geometry literally means "the measurement of the Earth", and more generally means the study of measurements of different kinds of space. Geometry on a flat surface, and geometry on the surface of a sphere, for example, are fundamentally different. A consequence of this disparity is the fact that it is impossible to create a perfectly accurate (flat) map of the Earth's (spherical) surface. 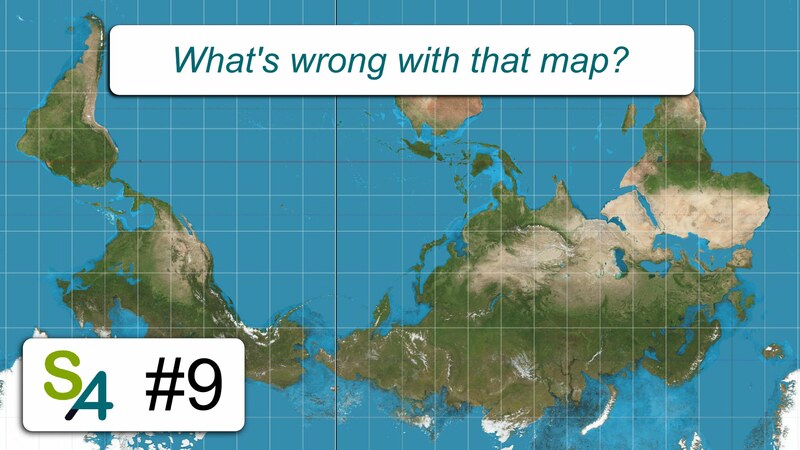 Every map of the Earth necessarily has distortions. In this post we look at a few different methods of map-making and evaluate their distortions as well as their respective advantages. © 2016 par Lê Nguyên Hoang, avec Wordpress.